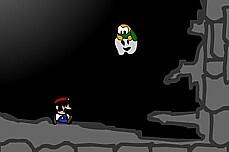 Angry Mario 2 arms Super Mario with a cannon full of blue turtle shells. 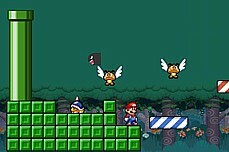 Take aim at the Goombas and try to hit them either directly with your cannon or indirectly by shooting bricks into them. 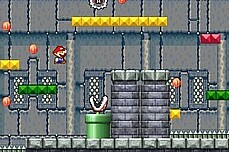 Some levels will require you to restart if you mess up. If you get stuck, take some time to think about your next shot. 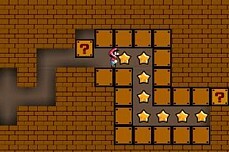 Use your wits to collect all the stars on each level without getting crushed by [?] blocks. 44 total levels. 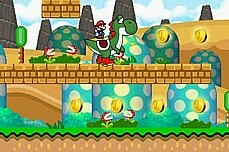 Collect all the coins and then make it back to the start point to proceed to the next level. 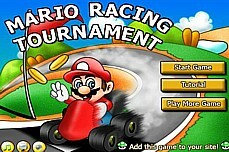 WARNING: This game is very difficult! 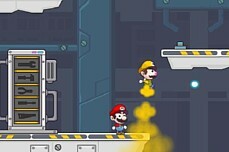 Choose your character then blast your 3 opponents into oblivion in this explosive flash game. Last one standing is the winner! 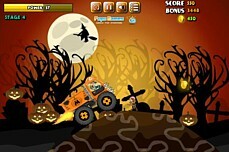 An endless runner featuring all kinds of collectibles to grab and pitfalls to avoid. How far can you make it? 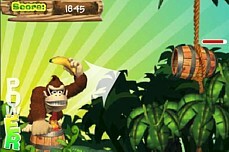 How quickly can you toss the bananas in the barrels? You have an unlimited number of shots but a limited amount of time! 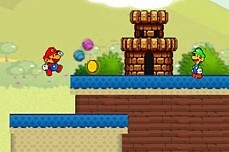 Jump from platform to platform while you collect coins in this 3D world. 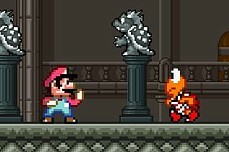 Watch out for Bullet Bill though! 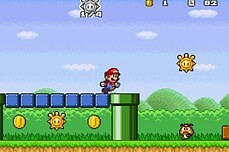 Bounce on the trampoline to collect the coins above you but watch out for the fireballs! 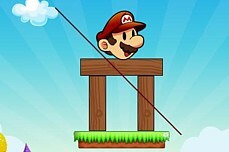 Use the mouse to cut the wood just the right way as to make the Mario head fall off the map. 20 total levels. 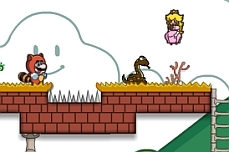 Pelt waves of enemies with snowballs until they become a snowball! 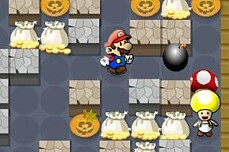 Then push them down to beat the level. 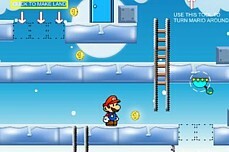 Can Mario solve the riddle of the frozen ice land? You'll need to use your wits more than your platform skills for this one. 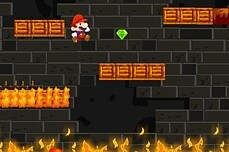 20 Fiery levels of platform jumping mania. 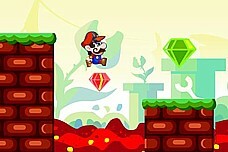 Collect the 4 diamonds and reach the exit on each level before you get burned alive! 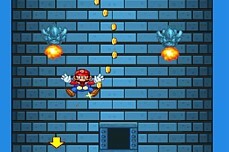 An endless runner with 5 levels to beat. 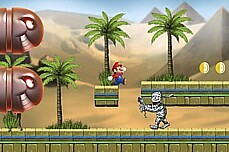 Dodge the mummies, spikes, and fire while always running from the big bullets. 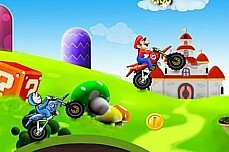 Reach the end of each level before your power meter runs out. Upgrades are available for the right price. 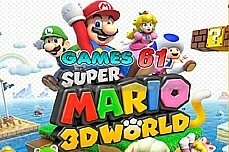 This game is ridiculously hard but there is just one level. 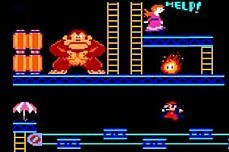 Can you beat it or will you give up like so many others? 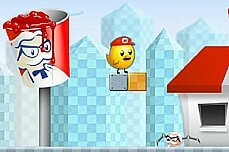 Princess Pamela Anderson has been taken hostage by the apparently evil Colonel Sanders - it is up to you to save her!